BBC Worldwide’s Walking with Dinosaurs is coming to the Wonderbook on PS3 next week. The game is all about ‘Fun, Fear and Facts’, bringing a new way of learning about and interacting with dinosaurs. 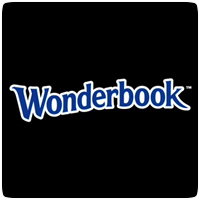 With Wonderbook, the images come to life, popping as if the worlds and creatures are standing right there on the page in front of you. Walking with Dinosaurs for Wonderbook lets you dig up the past and discover how dinosaurs really lived – and died. You start by excavating fossils on the book which then come to life on the page. From there you get to feed, fight, weigh, x-ray and chase dinosaurs in your quest to become a dino expert. Each chapter takes you to a different time and place where you can interact with a host of different dinosaurs from the giant Argentinosaurus to the dome-headed Pachycephalosaurus. There’s even time to meet classics like the Stegosaurus and Triceratops, feed baby dinosaurs, or run for your life from the fearsome Tyrannosaurus Rex!